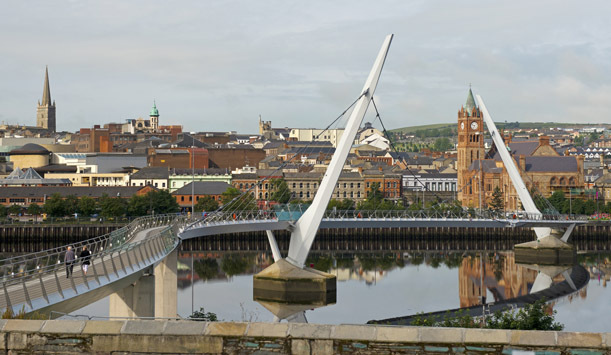 The Clipper Round the World Yacht Race will make a stop in Derry~Londonderry this July as part of the Foyle Maritime Festival. 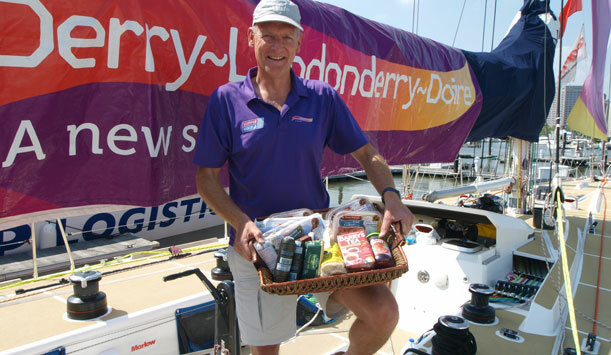 Crew member Richard Popper receiving our delicious hamper! 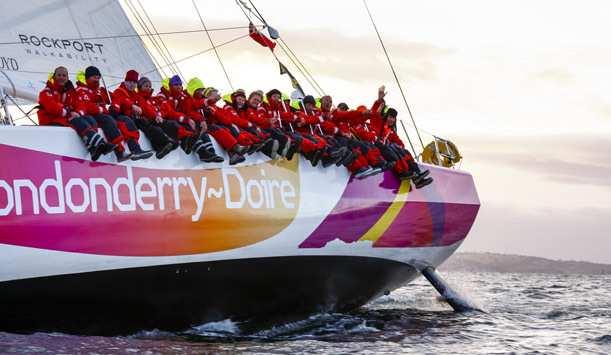 We caught up with the crew of the Derry~Londonderry~Doire yacht in New York to ask them all you've ever wanted to know about sailing around the globe - as well as delivering a tasty food hamper. What's been the best bit so far and why? What's it like showering and sleeping amidst 20-foot waves? Andy: “Showering is the easiest to answer – we don’t! Baby wipes fast become your best friend. Salt water toothpaste is a taste I am still struggling to acquire even after eight months. Sleeping is easy. We are all so tired after working on deck that we can pretty much sleep anywhere. Round the world crews can sleep on deck in 20-metre waves and 40 knots of breeze!" Favourite dinnertime meal on board? What luxury items, if any, did you take with you? What is the best teamwork advice you can share? Any close encounters with scary sea creatures? 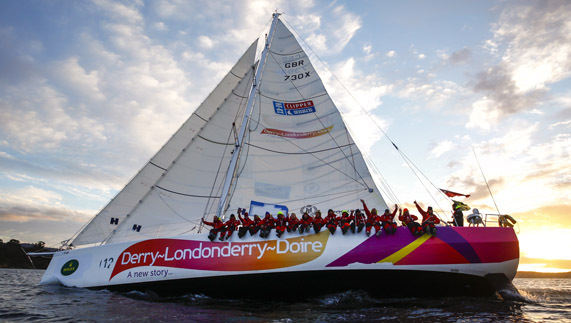 The Derry~Londonderry~Doire have won the first race of 2015-16, and the crew will return to the city this July. We're already excited!